ČAKMAKOVA Advocates is recognized as one of the leading law firms in Macedonia and its founders have acted as local counsel to clients in many of the most significant transactions in Macedonia over the past 20 years. The firm serves businesses of all sizes as well as individuals in all areas of the law with particular expertise in mergers & acquisitions, competition, corporate law, business law, banking and finance, commercial law, foreign investments, litigation and dispute resolution, tax law, intellectual property & transfer of technology, labor and employment. Founded in 1902, Wintertons Legal Practitioners employs 10 partners, 18 attorneys and 46 total staff, making it one of the largest firms in Zimbabwe. "This long-established player frequently advises high-profile names from the mining, agriculture, retail and tourism sectors. It provides a wide range of legal services, including corporate and M&A, employment law, litigation and arbitration." Lawyers from Australia, Argentina, the Bahamas, the Netherlands, Missouri and New York join the Advisory Board of renowned international alliance of law firms. TAGLaw and it's six new Advisory Board members have been featured in a recent edition of Lawyer Monthly. 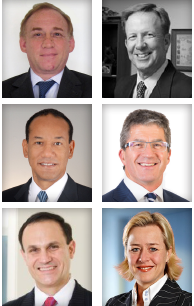 The incoming board members hail from countries all over the world including Australia, Argentina, the Bahamas, the Netherlands and the United States. Read the entire article on Lawyer Monthly. Batalla Salto Luna is a full service law firm of 41 lawyers - that is the result of a merger of a 19-lawyer litigation focused firm (Batalla) and a 22-lawyer corporate and tax practice firm (AFC). The firm has 8 partners and a total staff of 75 people. A number of the firm's partners are highly ranked in such publications as Chambers Global and Latin Lawyer.